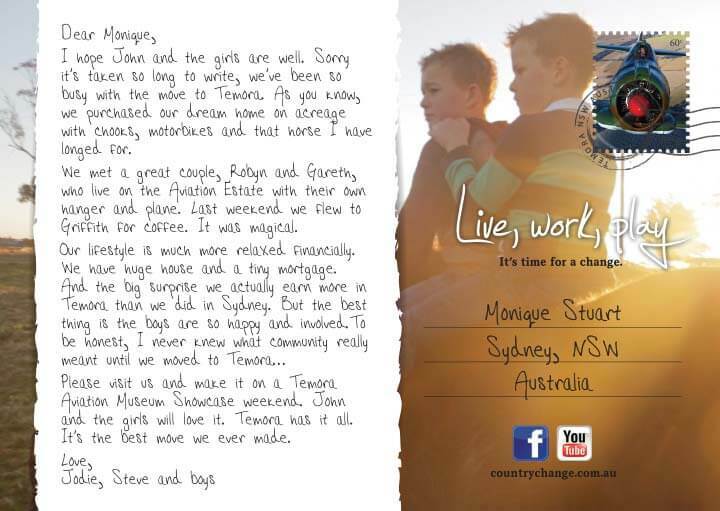 In Temora, community is everything. Have you ever been to a cinema run entirely by volunteers ranging from teenagers to retirees? At Temora’s Town Hall Theatre you’ll not only be treated to the latest flicks, but warmly greeted by a group of wonderful volunteers. Temora’s history, supported by generations of artisans and craftsmen, is on display across the Shire’s four museums. Many visitors are impressed by the healthy relationship between the town and the council. Temora’s myriad of meticulously preserved historical buildings are testament to the joint efforts of council and community working together for the common good. In a world where fast is often prioritised over friendly, you’ll soon discover this is a town that truly deserves its title of the friendliest in NSW. 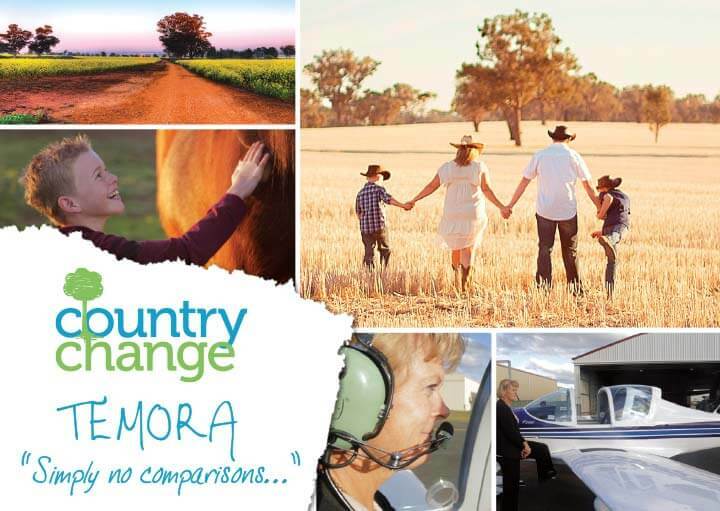 Temora has four distinct seasons, perfect for enjoying the region. Summer temperatures range from the mid-20s to the high 30s/ early 40s. Winter temperatures range from zero to high teens. Private taxi services and community transport options available. NSW Train Link bus service to Cootamundra, meets the CountryLink train between Melbourne and Sydney twice daily. Wagga Wagga’s domestic airport (90km) has three airlines with flights daily to Sydney and Melbourne, and a couple of times a week to Brisbane. Temora has excellent medical facilities and includes a 34 bed hospital delivering maternity, surgical, and aged care services. Community health services including physiotherapy, mental health and transitional care are delivered by local staff with extra services provided by visiting staff. Temora has many parks and sporting grounds for those seeking to keep fit and active, or merely take in the town’s natural beauty. It has a rich sporting culture catering for all codes of football as well as providing social competitions in tennis, bowls, basketball, volleyball, squash, running, swimming, netball, touch football and much more. Temora boasts a thriving business community due largely to stability of the agricultural powerhouse that surrounds it.There are a broad range of career opportunities in this largely self-sustaining shire. See below for more details. Pinnacle Community Services provides Disability and Aged Care Services including NDIS and Home Care Packages for clients living in their own homes as well as respite and day care groups. LFE Community Supports provides services in disability support, mental health and return to work. The Whiddon Group Temora is a nursing home provider who currently offers 24 hour care for residents in two locations. Greenstone Lodge houses 36 senior residents and Narraburra Lodge houses 40 senior residents. Temora Shire is serviced by three chemists in Temora – Capital Chemist, Harvest Chemist and St Mary Community Pharmacy, and the Ariah Park Pharmacy in the village of Ariah Park. Temora’s many parks and sporting grounds, including the 18 hole golf course, are green all year round thanks to ample supply of recycled water. Temora has a rich sporting culture catering for all codes of football as well as providing social competitions in tennis, bowls, basketball, volleyball, squash, running, swimming, netball, touch football and much more. The indoor heated pool provides year round access for lap swimming, aqua aerobics and hydrotherapy. Temora’s skate park is a popular free venue for children. For nature lovers, birdwatchers and bushwalkers, or those just wanting a peaceful escape from town living, there are four nature reserves in the shire providing visitors with beautiful, scenic native bush land to enjoy. Culturally Temora provides you with an array of activities – Film club, arts groups, theatrical society, choirs, gardening clubs, youth groups, community radio, live music and arts committees. Temora Aviation Museum – This award winning museum is home to a world-class flying collection of Australian ex-military aircraft. With regular flying days and special events and exhibitions, the museum is a popular attraction for aviation enthusiasts and volunteers. The Bundawarrah Centre – A time machine of memories and mechanical miles, culture and history. This site is home to one of Australia’s most outstanding rural museums as well as the Visitor Information Centre, Ambulance Museum, Wiradjuri Keeping Place, Rock and Mineral Collection, Family History Centre, Men’s Shed and community radio station. Lake Centenary – Water sports are a passion of many people living in and visiting Temora. Lake Centenary, just north of the town, is a 55 acre man-made aquatic playground for power boating, waterskiing, sailing, fishing, canoeing or just swimming. It also features a V8 Jetsprint boat racing course which has hosted national and state championships. The lake has an excellent boat ramp for easy access, as well as landscaped picnic facilities for relaxing waterside gatherings. There is also a free outdoor gym and 2.7km “lake loop” walking track. Temora boasts a thriving business community due largely to stability of the agricultural powerhouse that surrounds it. The wealth created by broadacre farming of crops and livestock contribute to a prosperous retail precinct and comparative diverse professional services sector. With all the essential services, plus a fair share of life luxuries available in Temora, there are a broad range of career opportunities in this largely self-sustaining shire.